As some of you may know, I've been representing SODA as a member of the Healthy Dearborn Coalition. Healthy Dearborn is diverse group of organizations and volunteers, and is sponsored by Beaumont Health and supported by the City of Dearborn. Healthy Dearborn's goal is promote a healthier Dearborn. In support of that goal the Healthy Dearborn Walk & Roll was created by Dearborn resident and coalition member Tracy Besek. Each week they meet Wednesday evening at a different park around the city. Tracy plans out a 5-6 mile route that bikers take around that neighborhood which begins and ends at that week's park. Walkers are also encouraged to participate by walking the park's track and around the neighborhood in a group. This week, which was their eighth meeting already this summer, took place on Dearborn's Southeast side at Lapeer Park. 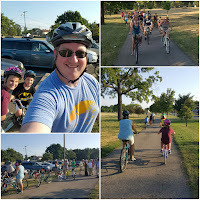 Touring around the neighborhood, and a loop around Patton Park in Detroit as well, the 5-1/2 mile route took a leisurely pace which was easily done by young and old. It was a great time! 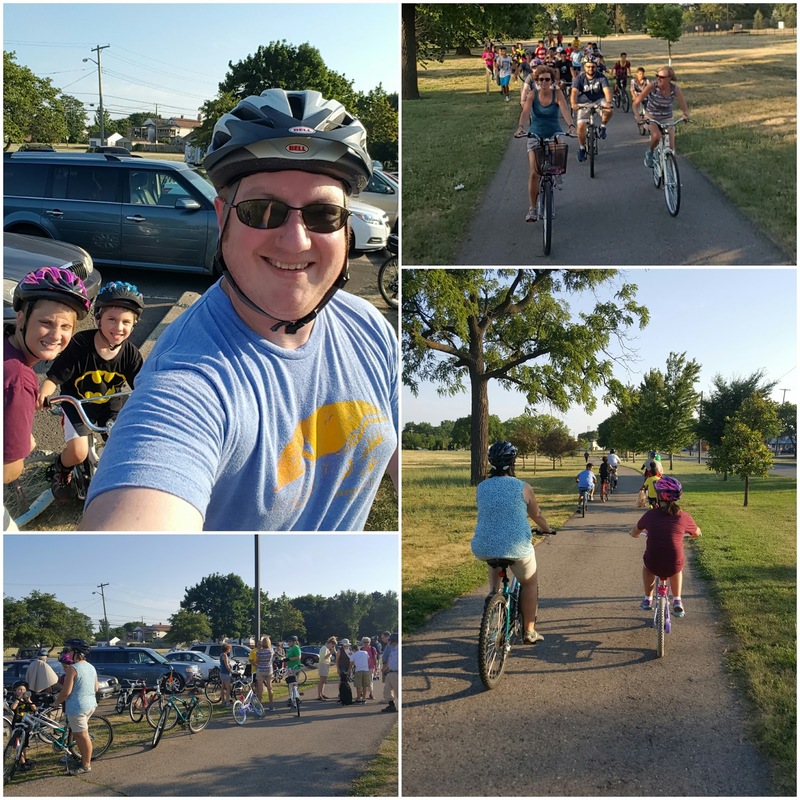 It was so much fun that my family plans on attending next week's ride which will take place on Dearborn's West side at Oak Park in the Golfview Oaks Neighborhood. Do you like to bike or do you like to walk while enjoying Dearborn, MI neighborhoods and parks, then this is the group for you! Join our weekly group rides/walks in and around Dearborn. We meet every Wednesday at 6:30 pm to Walk and Roll at 7:00 pm. Every week we meet at a different park so keep an eye on our group page for details. This group is independent of the City of Dearborn. You are responsible for your own well being while participating in a roll or stroll. **All kids should be accompanied by an adult. *Rollers: Be sure to do regular maintenance checks on your bikes, pump your tires, bring along an extra tube, lights, and water. Helmets are STRONGLY recommended. Routes will be approximately 5-6 miles long. *Walkers: Bring your best walking shoes and water. Routes will be approx 1-1.5 miles long. No walker or roller left behind! We are a no drop group that will ride/walk at a pace comfortable for all in attendance. We encourage all ages and skill levels to join us! For more information about the Healthy Dearborn Walk & Roll visit their Facebook Page.